our late arriving spring in the northwoods is wowing her viewers now. 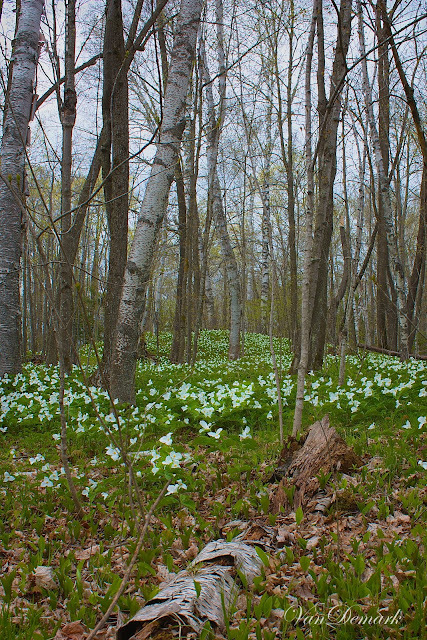 Our deciduous forests are carpeted with Trillium. * This plant takes 17 years to mature and can live over 70 years. * It was often used in ancient medicine. * The leaves can be cooked and eaten, similar to spinach. * White Trillium seeds are primarily dispersed by ants. who like to eat the large, reproductively active plants. How beautiful!!! And interesting information!! That, to me is paradise!! 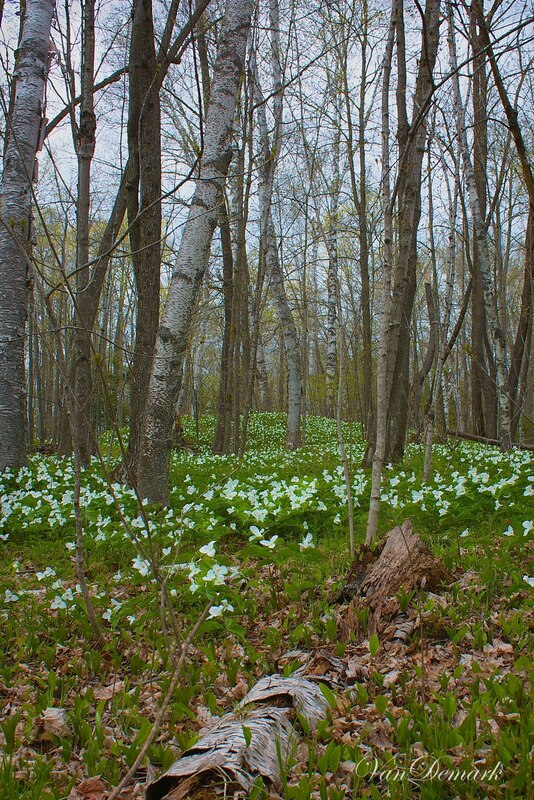 I am hard put to keep just one plant alive, and to have an entire copse full of them seems out of this world. That second picture certainly stirs my passion, with the dainty trees and the blue skies behind, to enhance the tapestry on the forest floor. Fascinating plant! And love how it grows like a carpet! Great photos! Very much like human, maturing at 17 and living for 70 years. :) Beautiful image. Never seen these before, nice photos. This is so beautiful! And I also loved reading the information about the plant - thanks so much! beautiful flowers, and love the trivia! A beautiful scene. I had never heard of trillium. Love how these flowers blanket the ground. And - thanks for the trillium trivia. Always something new to learn!!! How pretty! I love the interesting facts and of course didn't know any of them. Have you tried them? WOW! What a beautiful color shot as well as the black and white...and to think they are god for 70 years....amazing. I can just imagine walking up on something like this. I would definitely be in awe of what I was seeing. You did a lovely job. Gasp! 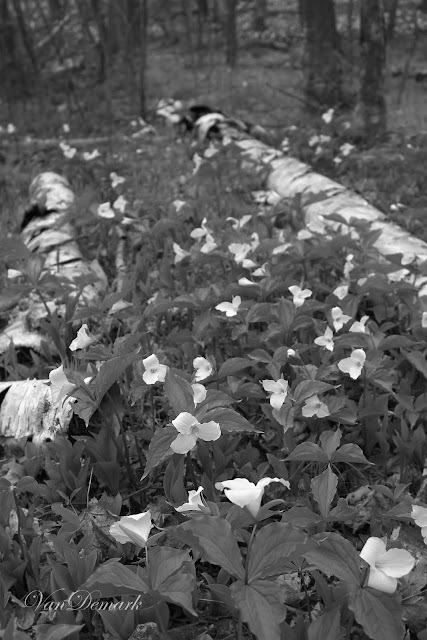 I've never seen so many trillium all together, Anna. Brilliant!! I have a few in the garden and they are so special. Beautiful flowers that last for weeks and weeks.